Swells are collections of waves produced by storm winds raging hundreds of miles out to sea, rather than the product of local winds along beaches. They are formed by a combination of factors and are coveted by surfers looking to catch a big wave. However, they are not so revered by boaters as large swells can capsize ships. A swell in the ocean is formed through a combination of wind strength, wind duration and fetch. Wind strength is how fast the wind blows across the surface of the ocean. Wind duration is how long it blows without interruption. And fetch is the distance wind blows across the surface without disruption from obstacles. As wind blows across the water’s surface friction occurs and energy is transferred from wind to water. The result is a rising crest that forms into a wave. 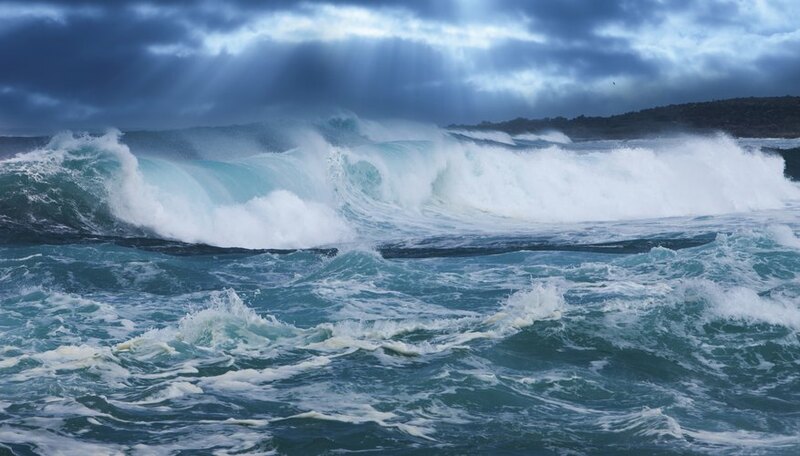 Over time and distance, sustained wind strength and duration build up a large amount of energy beneath the ocean’s surface, forming deeper waves known as swells. This energy fuels a swell so it can travel thousands of miles without changes in height or shape. As swells move away from the storm area where they formed, they become rounded and flatten. The height of each wave in a swell varies. Height is measured from the lowest point to the highest point of the wave. Since waves vary in size, surf forecasters usually give the swell height as the average height of the tallest one-third of waves in a collection. As a rule of thumb, the larger the height of a swell the bigger the waves it will produce when it approaches the coast. Swell period is the number of seconds between successive swell crests as they pass the same stationary object, such as a piling or buoy. The greater the number of seconds between swells, the larger the resulting wave. Ideal waves for surfing have a swell period of 12 seconds or longer, so swell periods of less than 11 seconds are usually not included in the average. Longer swell periods indicate a swell with deep-penetrating energy that will be forced to the surface when the swell approaches the coast, producing a wave up to one-and-a-half times taller than the swell was over open water. 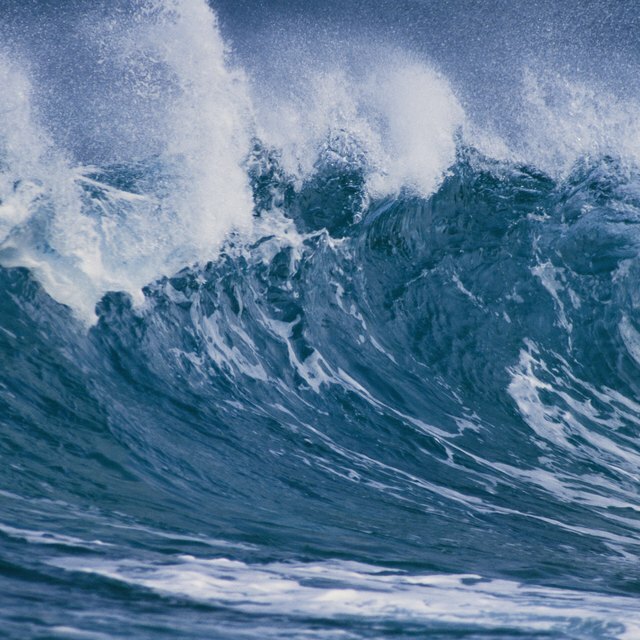 This forcing up of energy by the ocean floor to create a much larger wave is referred to as "groundswell." Swell direction is the direction the swell is coming from, as opposed to the direction it is heading toward. A collection of ocean swells moves in a general direction, but does not move in the exact same heading. Swells are re-directed by shallow spots on the ocean floor. Shallow areas slow down the speed of the swell, while the portion of it passing over deep water maintains its speed. This slowing down, which "bends" the wave, is called "refraction." Knowing the direction of a swell helps boaters navigate it and surfers determine where to position themselves to ride a wave. Surfline: So how Do We Get Surf? K., Diana. "What Is a Swell in the Ocean?" Sciencing, https://sciencing.com/swell-ocean-5052569.html. 24 April 2017.